The Board of Directors had a Business meeting January 22. These are the notes from this meeting. President Gordon Lee called the meeting to order at 10:00 a.m.
Minutes reviewed from previous meetings and which were approved. Treasurer’s Report was given by Nancy Eckstein. Manager’s Report was given by Layne Varney. Going Green Committee – Layne Varney reported on paper shredding scheduled March 16, 2018. Rules Committee – Don Calvert reported review of Board’s approval of outdoor non-resident policy; approval of a three-way stop at intersection at Championship Dr. and SunBird Blvd. ; non-smoking area on the patio was set aside as state law already in place; stop signs at intersection of Waterview and SunBird Blvd. set aside per state law requirements; study of non-resident use of indoor facilities in clubhouse, changes to Rules and Regulations; and guest parking. Projects Review Committee – Delores Brown-Knoeppel reported project schedule; pickleball proposal study; veteran’s memorial wall; clubhouse restroom remodel; handrail on patio to Waterview Drive, maintenance yard area covering; second floor room addition; Cooper-Riggs Road SunBird signage; Bocce ball. ACC Committee – Linda DiPalma thanked the outgoing committee members Pat McGonegle and Russ Bower; discussed tree maintenance by homeowners; increasing committee members to 10. Marketing Committee – Bob Moren reported committee being formed and looking for committee members. Welcoming Committee – Shirley Clark reported working on new charters for Marketing and Welcome Committees. Finance Committee – Nancy Eckstein reported construction of new room; election of officers; recommendation to consider additional signs be posted at all stop signs; Board consider help with liquor license purchase; change in meeting times to 3:00 p.m.; Bill Hook gave information regarding reserve fund. Layne Varney reported 102 home sales in 2017, delinquencies low, expenses up due to plumbing and air conditioner repairs, Horizon Room good December. HOA/Golf Club Committee – Don Calvert reported homeowners walking across golf course property; golf course property taxes in common areas; lines in lake area helping with duck issue; water drainage problems on golf course. 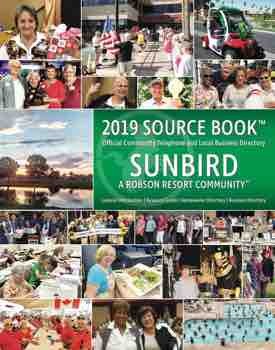 Don Calvert made a motion to pay the SunBird Golf Course amount requested for percentage of property tax increase on common areas leased from them at $3250.00. Motion carried. Election Committee Report – Barbara Ott reported on ballot counting, voting results and thanked volunteers. Project Review and Planning Committee – Stairs/Handrail Project, Dee Brown-Knoeppel made a motion to approve the Stairs/Handrail Project south of the barbeque patio area. Motion carried. Linda DiPalma made a motion to appoint Dirk Close, Chris Zalanka, James Casby and Don Habermehl to the ACC Committee. Motion carried. Bob Moren made a motion to appoint Jean Pritchard to the Marketing Committee. Nancy Eckstein made a motion to appoint Jim Anderson to the Finance Committee. Charter for Marketing and Welcoming Committees are in the process of being updated with the committee splitting into two committees. 2018 Board of Director Goals, discussed more ideas brought forward to consider Board to prioritize goals for Agenda Planning Meeting scheduled in February. With no further business, the meeting adjourned at 11:40 a.m.
Next Board meetings: Agenda Planning meeting Monday, March 12, at 10:00 a.m.; Business meeting Monday, March 26, at 10:00 a.m. All are welcome to attend!